Olivia Fairchild (far left), Kailey Losey (in red), Morgan Stroud (in black) and Alex Porter (far right) are four big reasons why the Rams are going to the playoffs. She’s easy to overlook. At 5-foot-1, Morgan Stroud is usually the smallest player on the volleyball court. But come game time for North Thurston High School’s volleyball team, when that first serve sails over the net, Stroud magically turns into a walking, talking giant. As the Rams’ libero, she’s King Kong. Olivia Fairchild leaps to block a shot at the net during practice. Stroud, only a brief starter on last year’s playoff team, is a “big” reason for the Rams success this season. Add Olivia Fairchild, a 6-foot-2 shot-blocking phenom with a knack for spiking game winners. And add Kailey Losey, the Rams’ setter and queen of passing, and Alex Porter, with her knack for slamming kill shots. They all add up to an impressive team, one that finished the regular season at 13-1 and head into the playoffs. But coming into the season, Meyer was only cautiously optimistic. Five starters off last year’s team that finished seventh at state were seniors. There were a lot of unknowns about this year’s team. What’s impressed Meyer – beside the team’s record – has not only been this team’s ability to play together, but it’s their cooperative, get-along nature. During crunch time, when the match’s outcome is on the line, this team pulls together. Tension doesn’t divide them. That unity is born in after practice get-togethers the team has throughout the season. On Halloween, after North Thurston lost to Central Kitsap in the league tournament to get the No. 2 seeding into district, the team went to Meyer’s house for a party. They ate and handed out candy to trick-or-treaters that came to Meyer’s home. The get-togethers are Meyer’s cure for that divisive drama. Nobody wants to let down a friend. In a lopsided win over Wilson earlier in the season, Losey had 37 assists and Alex Porter had 21 kills. 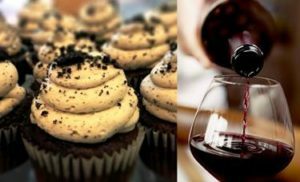 “That’s a pretty phenomenal combo right there,” Meyer said. 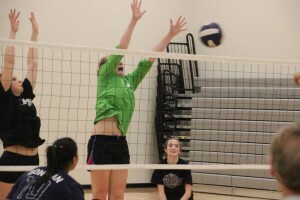 The Rams play tough at the net at a recent practice. Losey and Porter were both second-team all-league players last year. Fairchild, who was first-team all-league last year as a sophomore, is the designated rally stopper. She leads the 3A Narrows League with 50 blocks. She’s a disrupter. “She’s a dominate blocker,” Meyer said. After losing five starters off last year’s playoff team, Fairchild is surprised by her team’s success this year. North Thurston coach Jackie Meyer instructs her team at a recent practice. 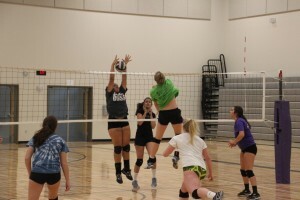 Fairchild, like Losey and other teammates, is a year-around volleyball player. 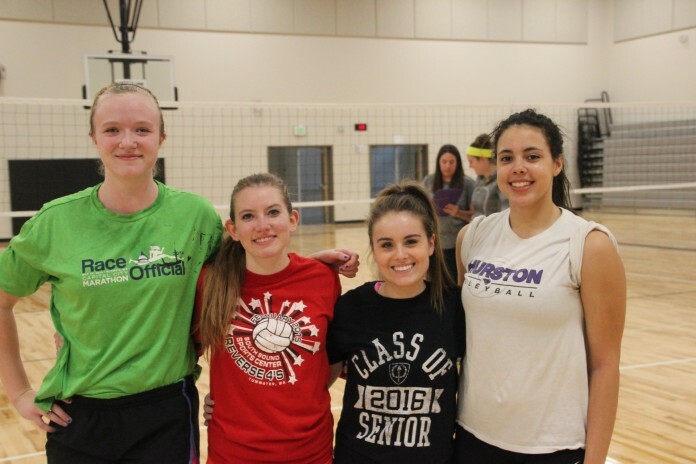 When the Rams’ season ends, Fairchild will start playing for her club team, the Puget Sound Volleyball Academy. And next year when Fairchild’s high school career comes to an end, she’s hoping she hasn’t played her last volleyball game. She hopes to get a college scholarship. And Fairchild, who has a 3.5 GPA, will likely get her wish. She’s already being recruited by some major colleges. Last week on her birthday, she got a birthday card from the University of Wyoming. Fairchild played basketball for nine years, but she now focuses on volleyball. As the setter, it’s Losey’s job that Fairchild and Porter stay busy at the net. She’s the coach on the floor. North Thurston practices in preparation of the district playoffs. Last year as a junior, Stroud got her chance to audition for the libero when senior Liz Colon, who is now playing at Saint Martin’s University, was out for a week with a mild concussion. “So, we kind of knew she’d our libero this year,” Meyer said. Stroud has the personality and the physical skills to be a libero. And because of Stroud’s intensity, Porter’s and Fairchild’s net play, and Losey’s setting, the Rams are the surprise winners heading into the playoffs.